This show was broadcast on September 30, 2013. Guest: Professor James Tracy of [censored] University and MemoryHoleBlog, who has been plagued by the mainstream media and by his own university administration for raising questions about the recent Navy Yard shooting, the Sandy Hook massacre, and other questionable events. 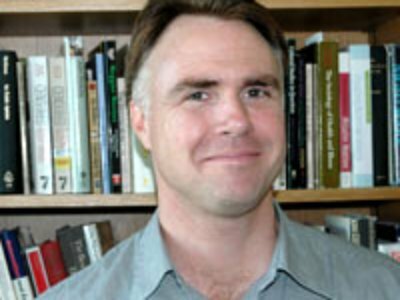 An early 9/11 skeptic and able analyst of 9/11’s effect on public consciousness, James Tracy is at the forefront of truth-in-academia. 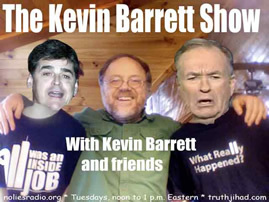 During this show we discuss Dr. Tracy’s Kafka-esque battle with his university administration, the Navy Yard shooting, the Sandy Hook massacre (including the bizarre-but-true fact that alleged perp Adam Lanza’s very existence is in question), the failure of the al-Ghouta false flag to ignite a US attack on Syria, and the rapid-fire spread of the false-flag meme. This entry was posted on Monday, September 30th, 2013 at 6:39 pm	and is filed under 9/11, Anti-War, Bio-Chem/Warfare, Censorship-Propaganda, Death Squads, Econo, False Flag/Fake Terror, Freedom, Justice, Kevin Barrett, Martial Law, Mind Control, News, Protest, Surveillance, War Crimes. You can follow any responses to this entry through the RSS 2.0 feed.